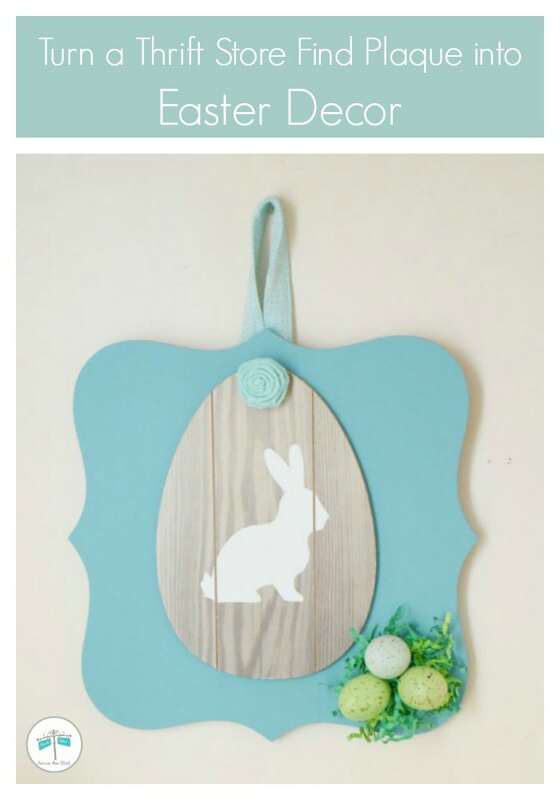 Easter Decor doesn’t have to be expensive. 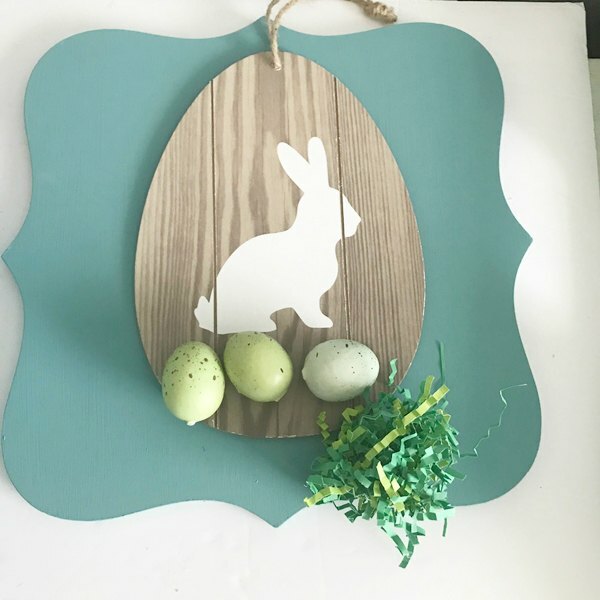 I like adding some Easter touches to our home, but since they don’t stay up very long, I don’t want to spend much money for them. 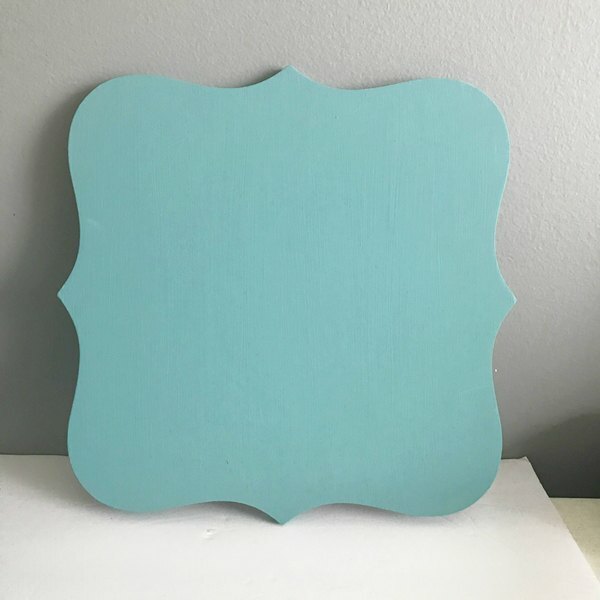 Using a thrift store find sign as the base, this came together quickly and it’s very budget friendly! This spot in my sun room is one that I change out frequently for seasonal decor. Most recently, I had a Spring Blooms Wall Art piece that I made last year hanging here. I found the egg shaped bunny piece at Walmart for a couple of dollars. It fits well on the thrift store plaque. I sorted through my Easter craft stash and found some speckled eggs and paper grass. 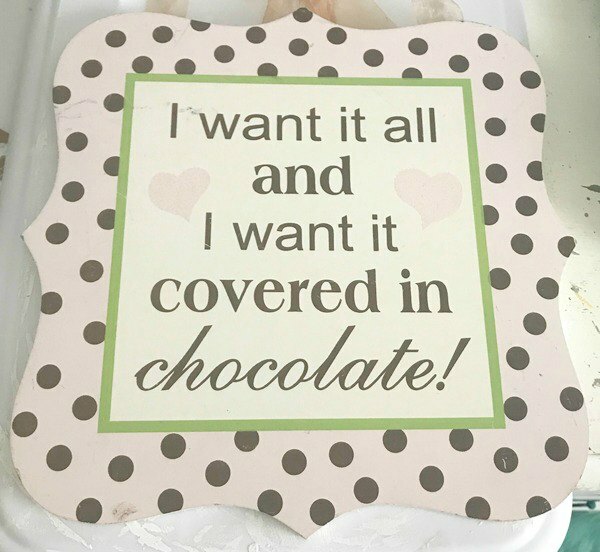 The thrift store sign had lots of scratches on it and it’s not something I would use, but I liked the shape of it, so for $1.99, it was a good buy. 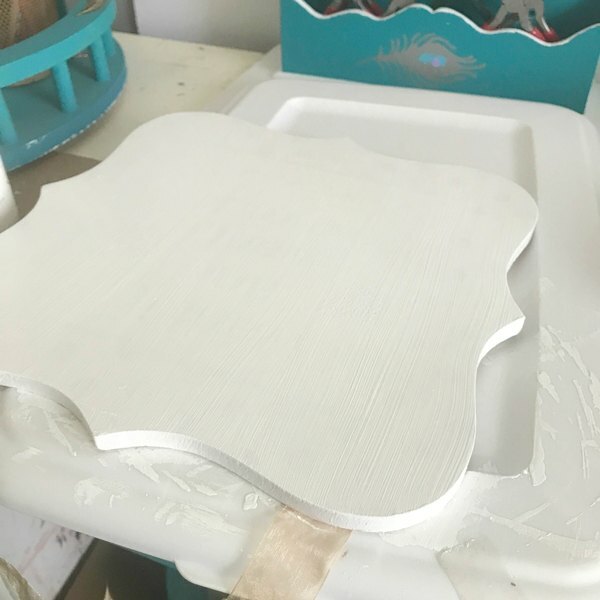 I gave the plaque two coats of white chalk paint to start its makeover. 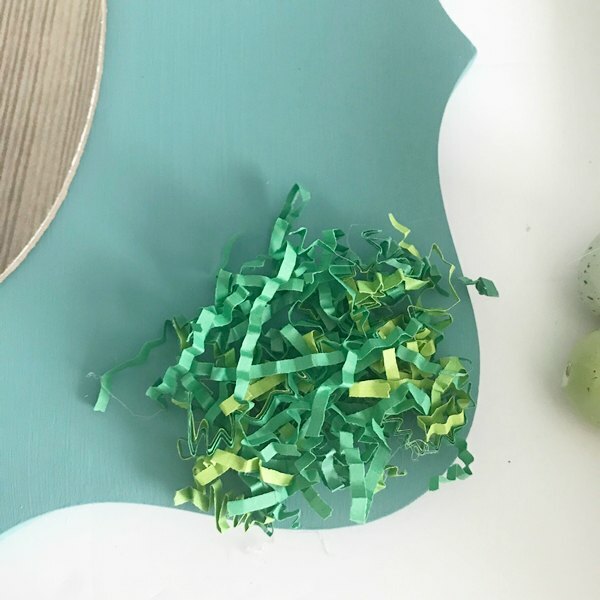 I mentioned when I shared my Easy Easter Vignette, that I’m loving this shade of paint by Waverly. It’s called Agave. 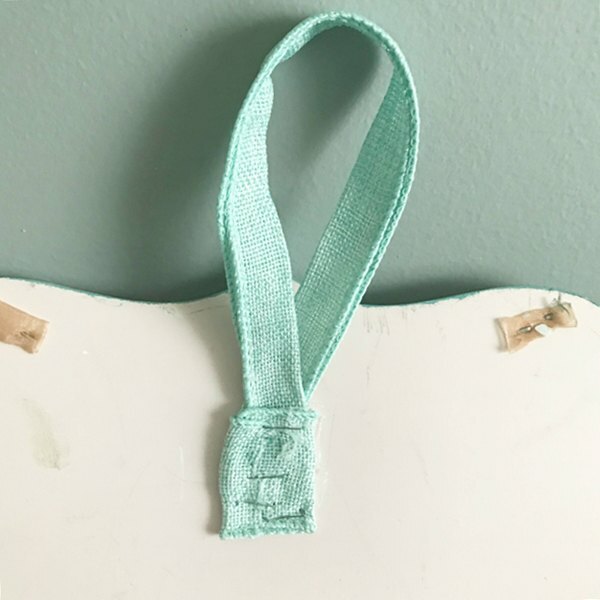 Using some teal ribbon from my ribbon stash, I made a simple hanging loop. It’s glued to the back of the plaque and then to make sure it’s secure when hanging, I added a few staples to it. Paper Easter grass is glued to the plaque as a nest for a few of the speckled eggs. 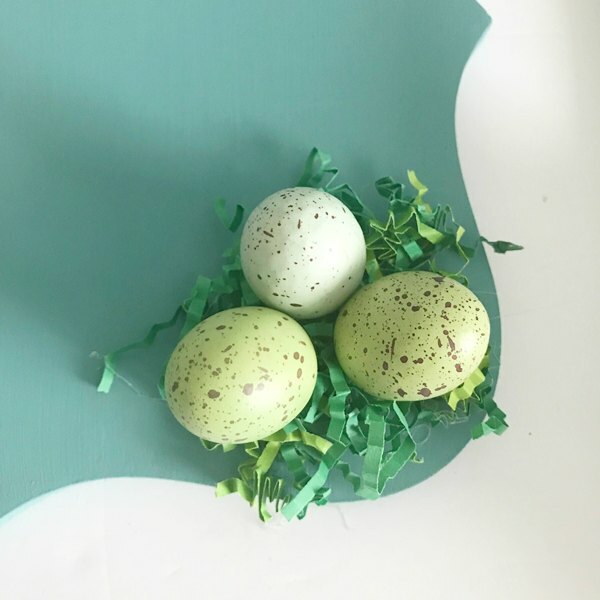 I was happy to find some green and blue speckled eggs in my stash that go well with the color of the plaque. They’re also glued in place. 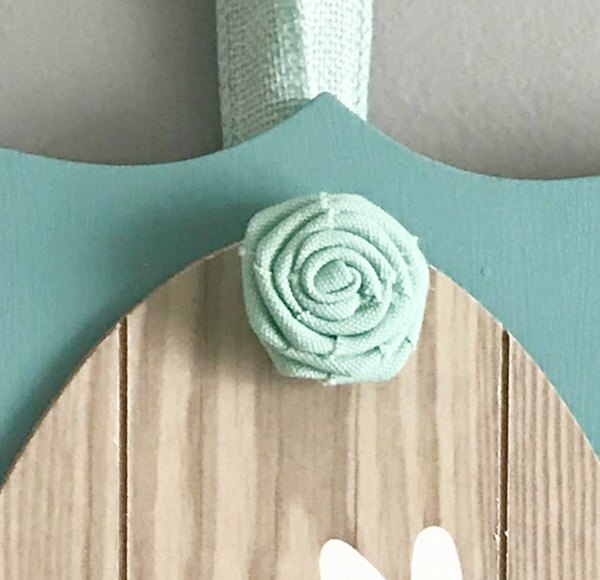 I added a small teal rosette to the top of the bunny sign using hot glue. The final step was to glue the bunny sign to the plaque. 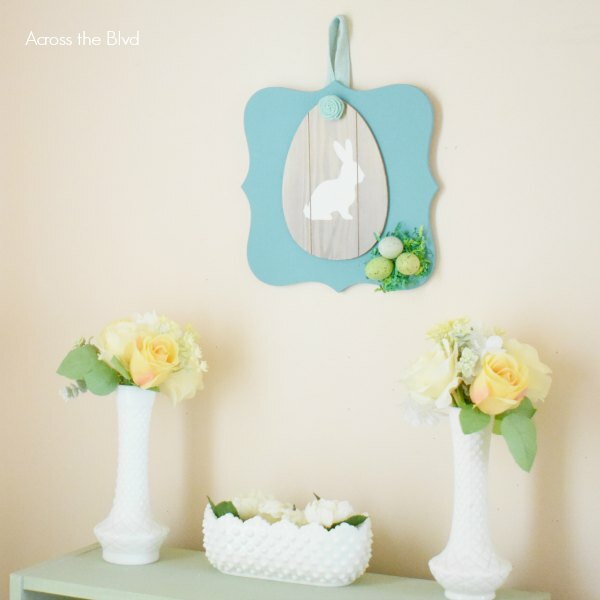 Using the thrift store plaque and the inexpensive bunny sing kept the cost of this Easter decor piece very low. 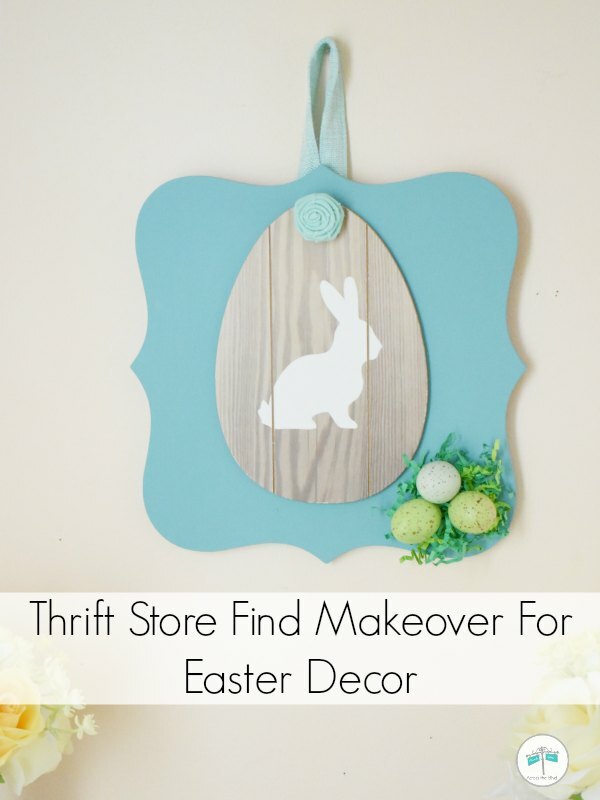 You might also enjoy more easy thrift store find makeovers. This is adorable! I love the layered plaques and the rosette at the top. The colors are perfect, too. Great job! And thank you for sharing at Sweet Inspiration!